I have been struggling a little with inspiration lately, as you may have noticed from my lack of posts! I'll discuss this more at the end of the post if you're interested, but for now let's talk about this nail art. What's an uninspired gal to do? Florals, of course! Nothing super groundbreaking here, but I am happy with the way they came out and I love the textured accent nail. 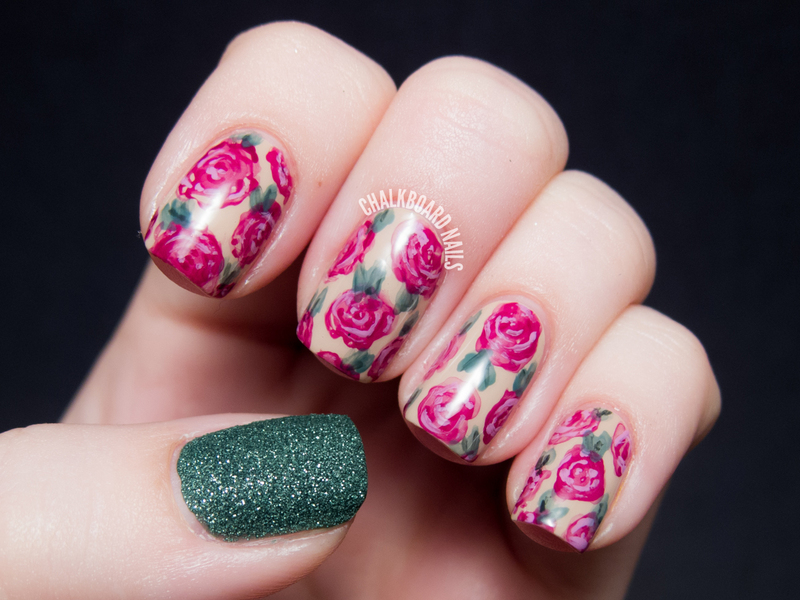 Read on for more details about how I did this manicure. 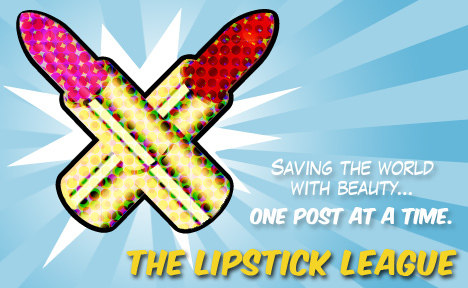 For the month of December, we’re super-sizing The Lipstick League and giving you double the fun from some members! Question of the Week: What are some beauty products that you’d be delighted to receive as gifts this holiday season? Sarah's Answer: I've been eyeing the Formula X for Sephora polishes. There are so many beauties! My favorite groups are the Xplosives glitter topcoats and the neon Electrics. Beauty Junkies Unite - See what Amber thought were hits, and those that were misses in the new MAC RiRi Hearts MAC holiday collection! 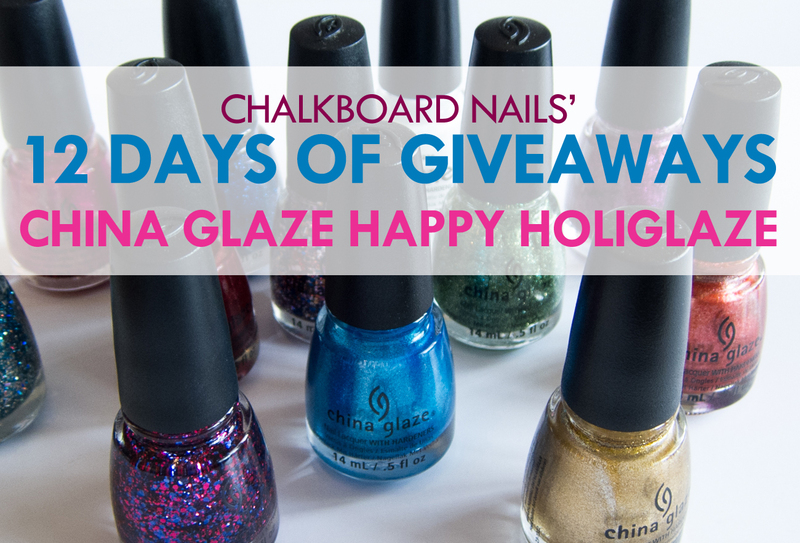 Chalkboard Nails - There’s no better way to celebrate Pantone’s Color of the Year for 2014 than with some freehand radiant orchid nail art! 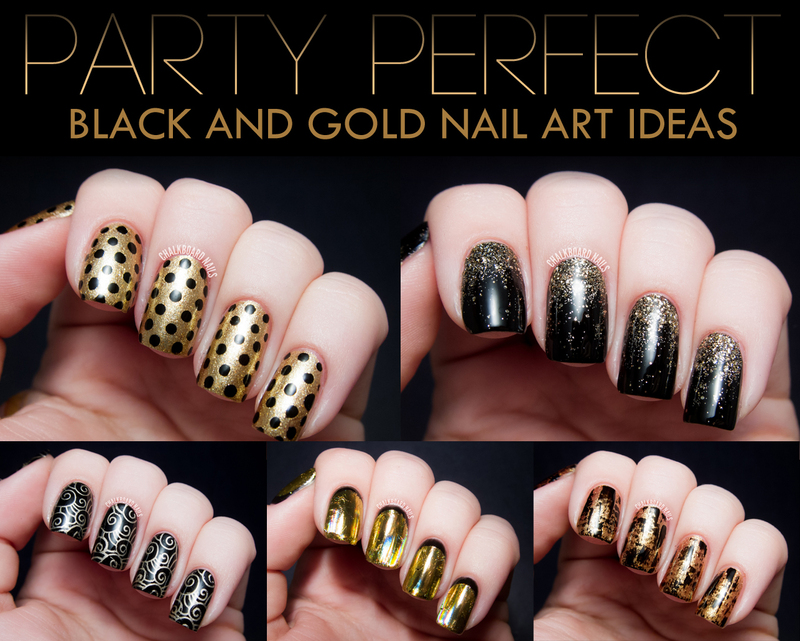 Chalkboard Nails - Get party perfect nails with five easy black and gold nail art ideas. Feeling bold? Try combining a few together! Clumps of Mascara - Been itchin’ to try new nail polishes but the stores don’t seem to have anything up your alley? 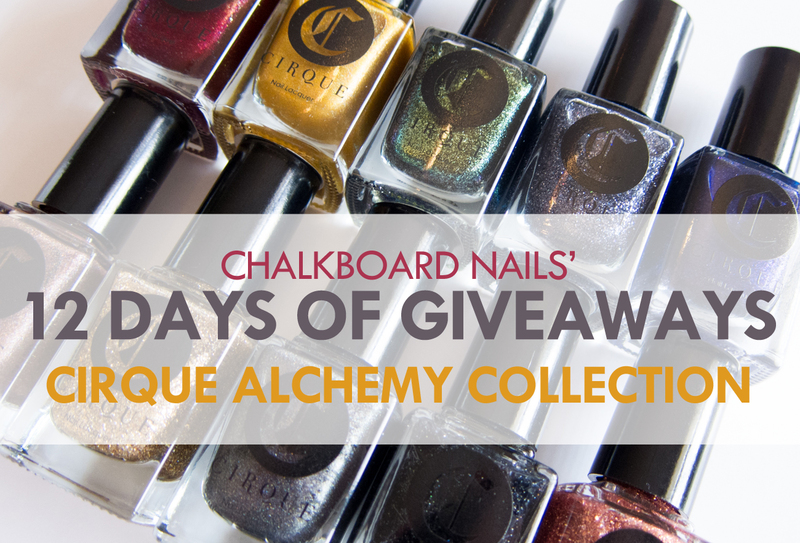 Support an indie nail polish brand! Clumps of Mascara - So not beauty-related but c’mon...who doesn’t like pictures of Baby Clumps? Gouldylox Reviews - Looking for the perfect holiday gift? Here's a list that takes care of everyone! Gouldylox Reviews - Beauty products commonly use these tricks to play on your self-esteem. Don't let them trick you! Lipglossiping - checks out the behind-the-scenes video featuring the much-awaited relaunch of Shu Uemura’s lipstick range. My Beauty Bunny - We've got the scoop on Radical Skin Care This powerful (and effective!) anti-aging line is the buzz brand in Hollywood - find out why. My Beauty Bunny - We're ALWAYS raving about DermOrganic's amazing hair care products. Want to try them yourself? 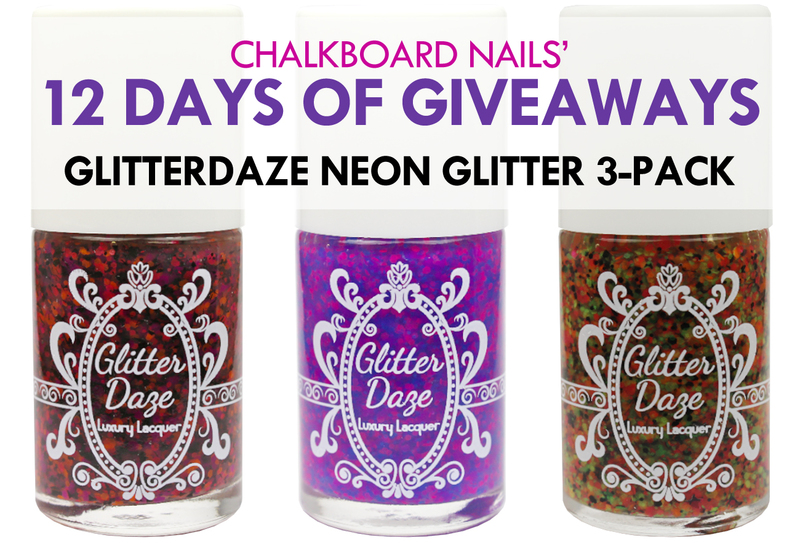 Here's your chance to win two full size products! Nouveau Cheap - Are the new Almay Shadow Softies cream shadows? Mousse shadows? Answer: neither. Nouveau Cheap - Wet n Wild is discontinuing some products in 2014. Come see if your favorites made the cut. Pink Sith - shares with you a famous holiday poem. "Twas the poem about the holidays that barely rhymed, but I show you gifts from ULTA Beauty so I know you won't mind." Pink Sith - has a great gift idea for the men in your life. The Billy Jealousy Shave3Some is Mr. Sith approved! Prime Beauty - attends so many holiday parties (haha) she needs flawless skin for all the pictures she'll be starring in (haha again). Renee Rouleau's Triple Berry Smoothing Peel does the trick and it's on sale! 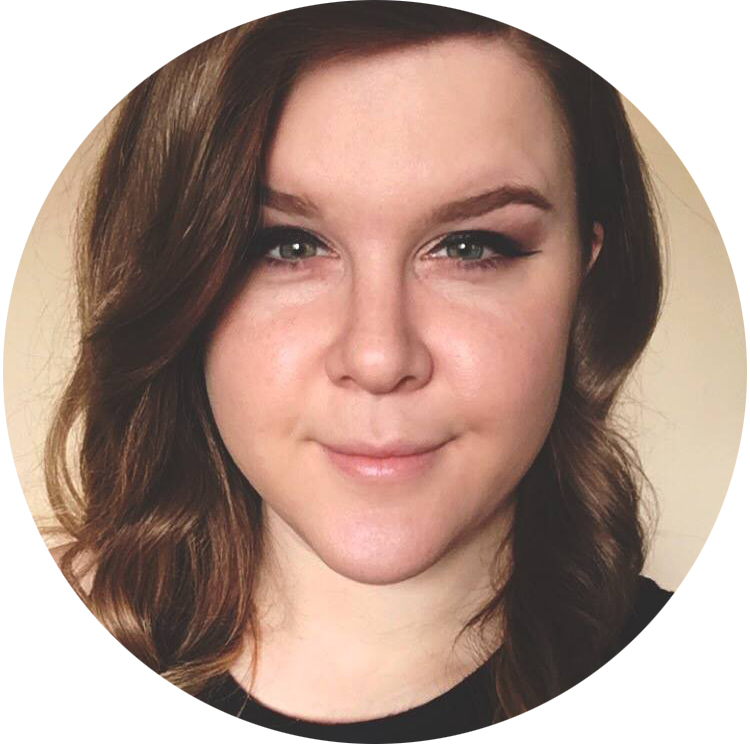 Prime Beauty - explores the Indie Brand SENNA Cosmetics and likes what she finds! Phyrra - I've launched my very own cruelty free, paraben free, vegan hair masque called Pretty Little Elixir! It's a must have for dyed or heat styled hair! Phyrra - Love Chocolate? See if this sweet treat from Too Faced is for you! It's the Too Faced Chocolate Bar Eye Palette. we heart this - took a field trip to 100% Pure in West Hollywood, a long time favorite of many of our team members. It was a sniff and scrub-a-polloza! 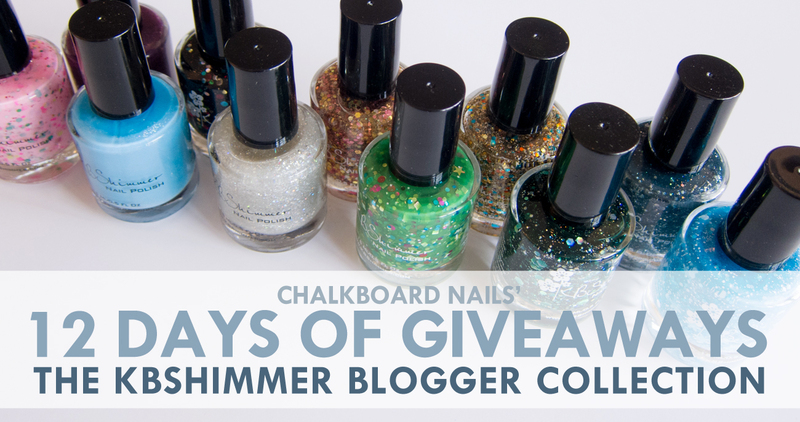 It's the final day of the 12 Days of Giveaways - I hope you all have enjoyed them! I know I have. 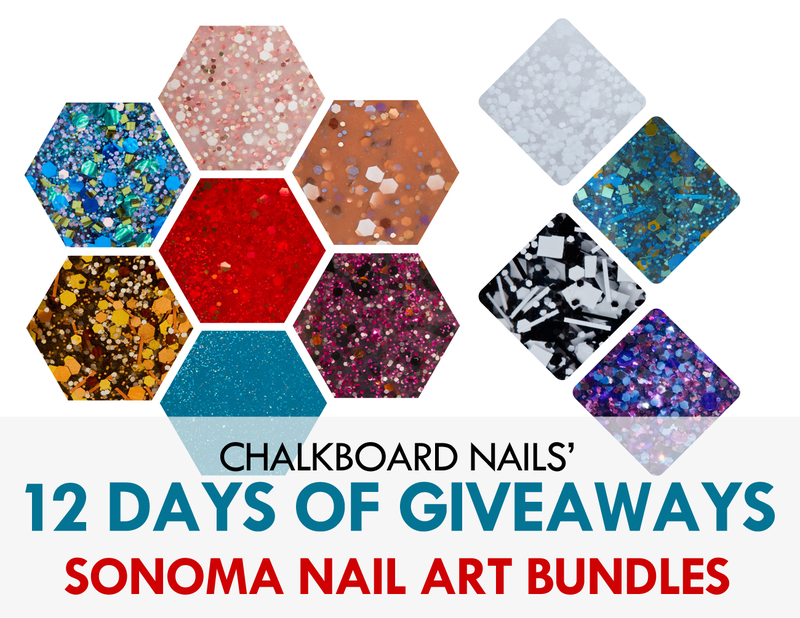 I've already drawn winners for some of the earlier days, and for those of you that are curious, winners are emailed, announced via the giveaway widget, and posted on the CN Facebook page. 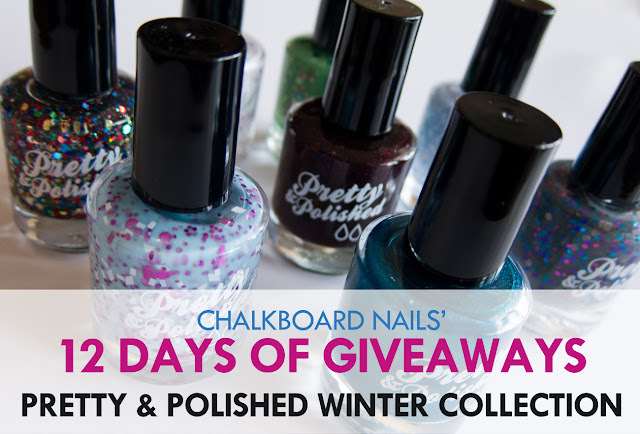 Of course I had to go out strong, so for the 12th day, one lucky US reader will win the entire 18 piece OPI Mariah Carey Holiday Collection, including all six Liquid Sand shades. OPI is a brand that is near and dear to my heart, and this is a great winter collection. There has to be something magical in these Sands that makes them extra gorgeous. Best of luck to all of you that are able to enter! 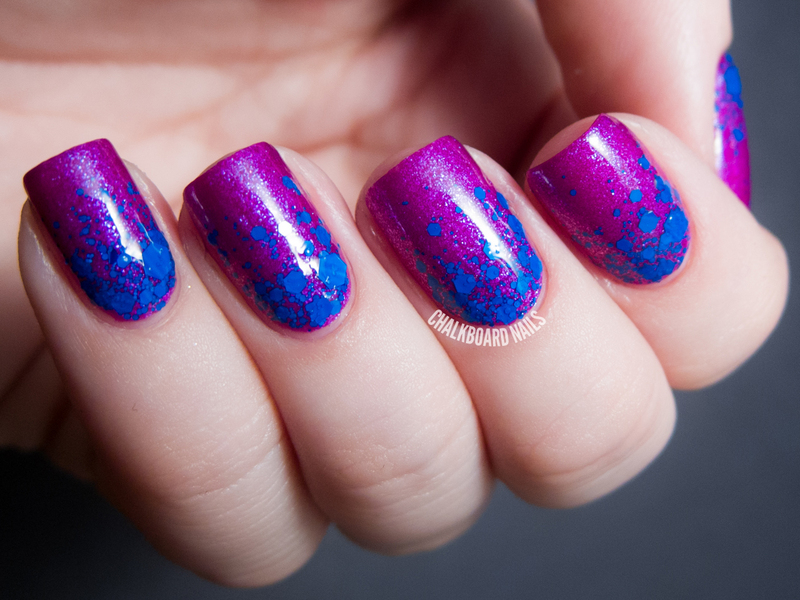 It takes a lot for an indie brand to catch my eye these days in the vast sea of nail polish, but the Australian brand Glam Polish really sparked my interest. I've seen a lot of beautiful swatches of Glam Polishes lately and was very excited to give six of them a try for myself. 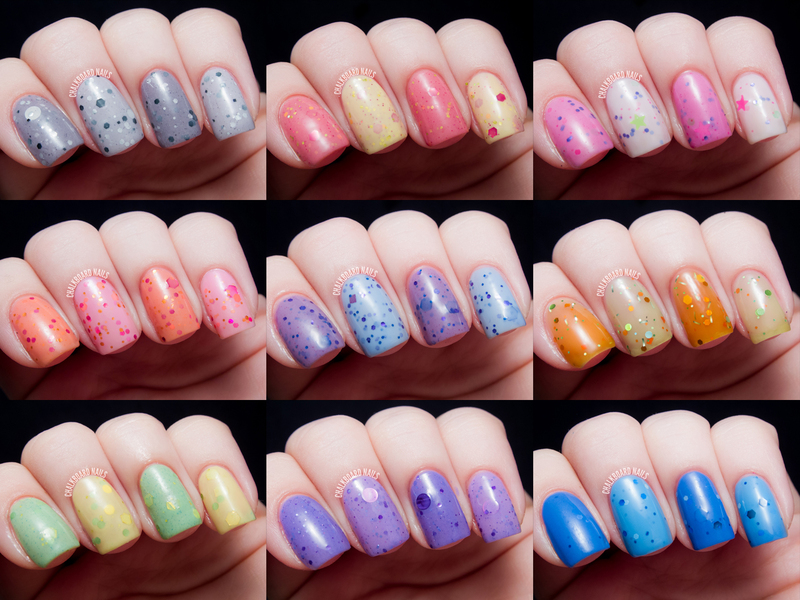 Not only do these polishes have great formulas, they are adorable and fun color combinations! They are a breath of fresh air amidst the heaviness of the current winter collections. 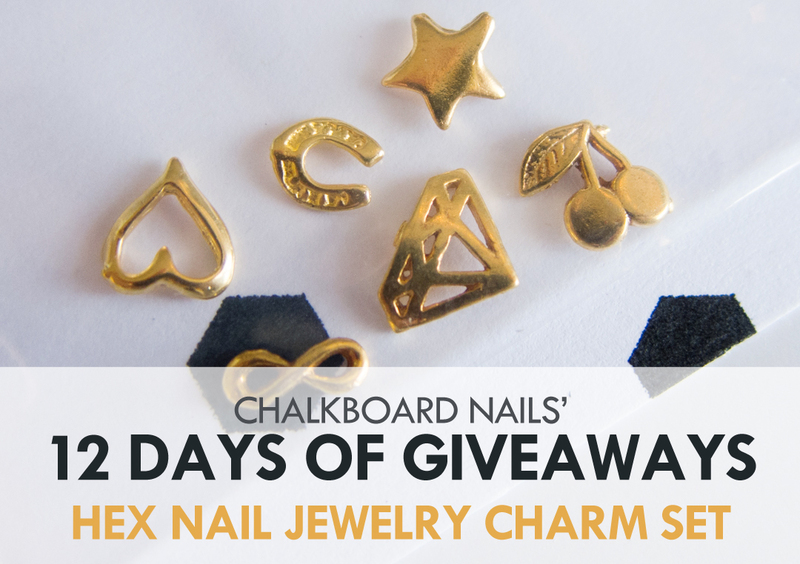 It's day two of the 12 Days of Giveaways and today I'm giving away the chance to experience some DIY fun! I enjoy making nail polish jewelry (and have been doing it for quite some time!). 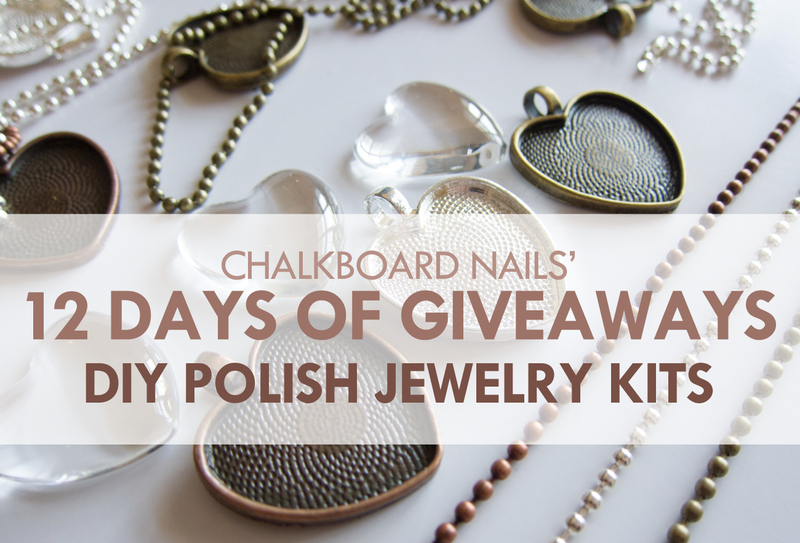 I wrote a tutorial for DIY polish jewelry waaay back in January 2012, and Rebecca Likes Nails published a great tutorial too. One great thing about polish jewelry is that you can trap your favorite polishes and keep a bit of them forever. I made a pair of earrings with my beloved Clarins 230, so even if I finish the bottle, I'll still have those earrings! You can also get creative with layerings, or nail art, or just go crazy blingy and add sparkle to your outfits. When I was young, I always looked forward to Christmas because it meant PRESENTS! I mean, who doesn't love receiving gifts!? But as I grow older, I find that now I get more excited about giving gifts that I do about receiving them. There's something just so wonderful about finding the perfect present for someone, waiting for them to open it, and experiencing that moment with them. Maybe that's cheesy but it's true! This year, I wanted to give some gifts to you, my beautiful readers. 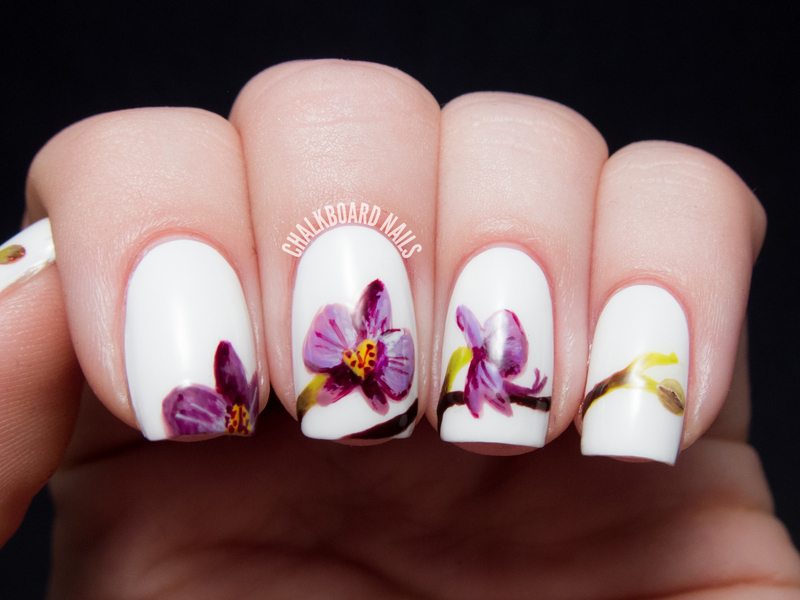 This blog is what it is today because of you guys, and I'm so thankful that you are around to keep me company in my nail art and nail polish addictions. 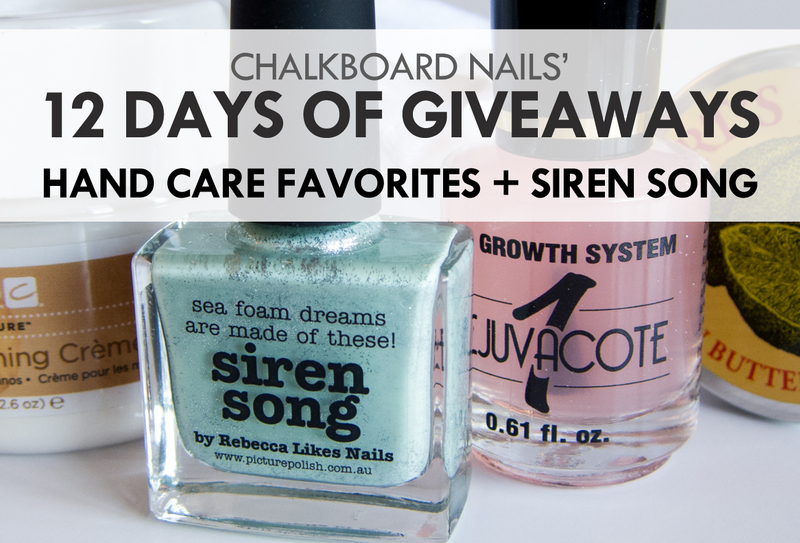 In celebration of the season, I've teamed up with some of my favorite brands to put together a 12 Days of Giveaways for you (a la The Ellen Show - my fav). 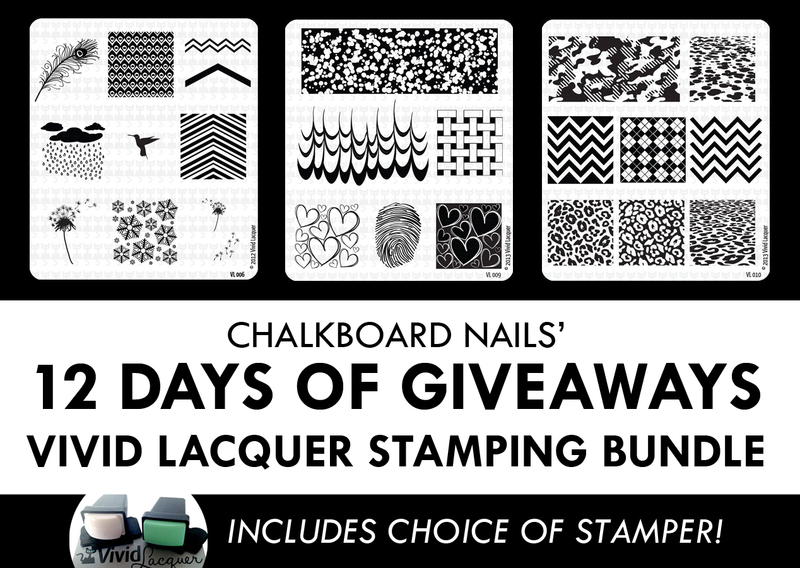 That's right - 12 days, 12 prizes, multiple winners, and lots of fun! 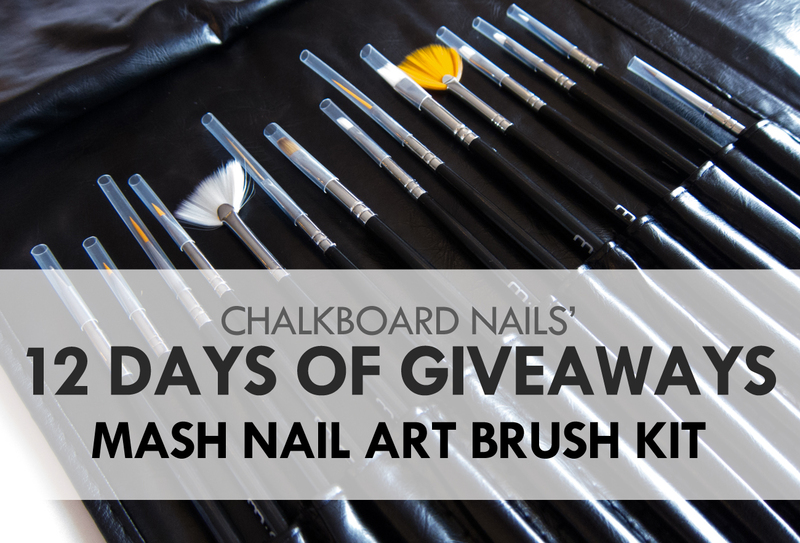 Read on and enter to win!